With all of the hype surrounding social media, it's apparent these tools are here to stay. If you effectively harness the power of social media, you can turn those Likes, Retweets, and hashtags (#) into an increased rate of room occupancy. Continue reading for a few tips on how to use social media to bolster room occupancy. In the end, it's important for your independent hotel to encourage your guests to leave reviews. The goal is to make sure your independent hotel has a consistent stream of positive reviews on your profile pages. Not only can you use social media review sites to increase occupancy, but you can also use reviews to increase the customer's willingness to pay more. With 87% of people under the age of 34 using Facebook for advice about bookings, it's vital to use this social media giant to bolster occupancy. As a matter of fact, about 50% of brands on Facebook discovered their bookings increased because of their presence on the network. The best way to achieve this goal is to allow your guests to easily make reservations through Facebook. At the same time, you can use the following Facebook tips and tricks to bolster occupancy. Use Facebook as an excellent source of positive ratings and reviews. Run contests and challenges to give people a reason to visit and Like your Facebook page. Use Facebook to promote your events and allow guest to purchase tickets directly from your page. Collect more email addresses on your Facebook page by adding a simple email signup tab to your page. This is an excellent way to increase your marketing efforts and reach. Social media hubs are designed to centralize all of your social media sites in a convenient interface for you and your guests. As a result, when your visitor lands on your page, they are exposed to your entire social media presence, which will further submerge them in your brand. Instead of only asking your guests to "Follow" you on Twitter or "Like' you on Facebook, your guests will be able to engage with you on all social media outlets and even watch a YouTube video or two, while scanning your reviews on TripAdvisor. According to Edison Research, approximately two-thirds of adults are active on social media. With the lion's share of your guests already engaged on social networks, it simply makes sense for your independent hotel to have a significant presence. 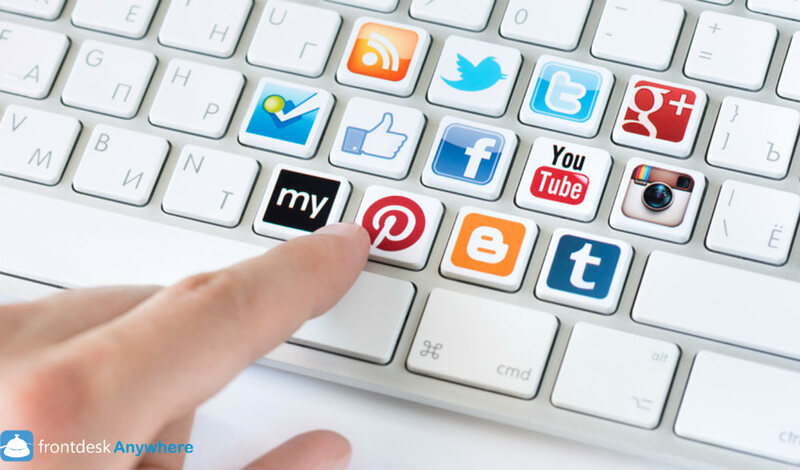 To learn more about how to increase occupancy through social media, contact Frontdesk Anywhere today.